This is day 3 of my image transfer DIYs! I started with a wood block photo transfer, then yesterday was my packing tape image transfer. 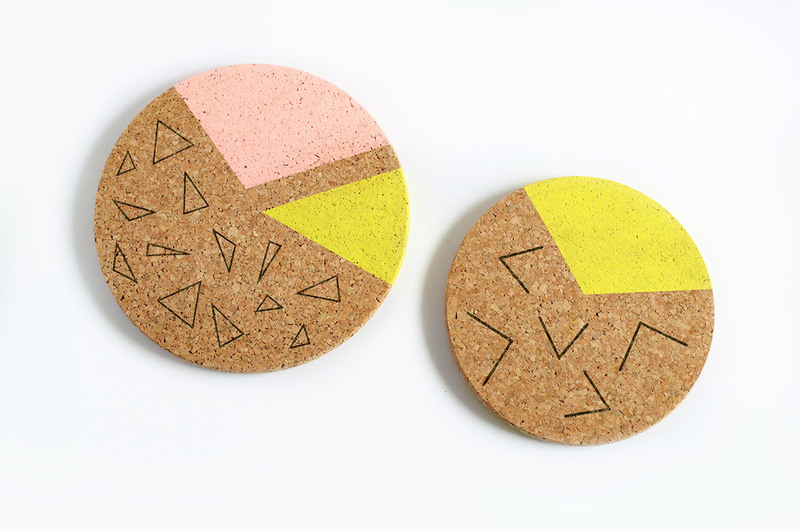 Today you’ll see how I made my DIY Colorblocked Cork Boards with Blender Pen Image Transfer. Transferring images with a blender pen is such a fun technique. 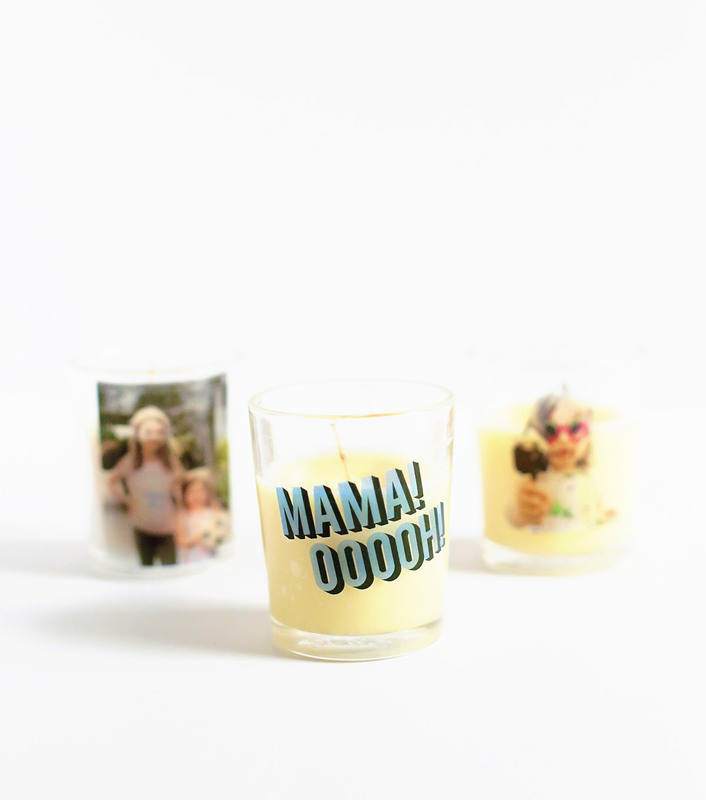 Grab a laser printed image, something to transfer the image onto, and the blender pen. 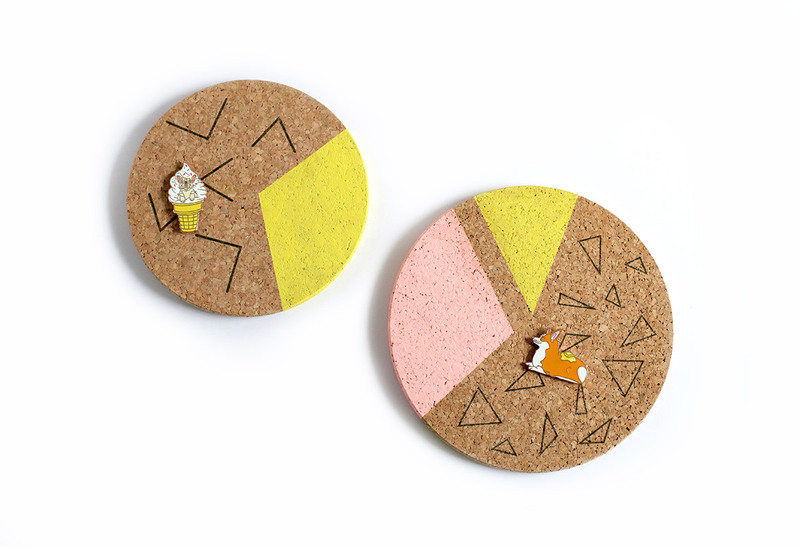 If you like the pins featured on the cork boards you can find them in my shop. If you follow me on social media you’ll notice that my friend, Lindsay of Shrimp Salad Circus, and I were in Ventura, CA to teach a couple of art classes for the Craftcation conference. The great thing about this event is how welcoming and relaxed it is. This is my second time attending and I feel inspired to create more after this trip. So today I’m sharing one of the projects we taught to our class. 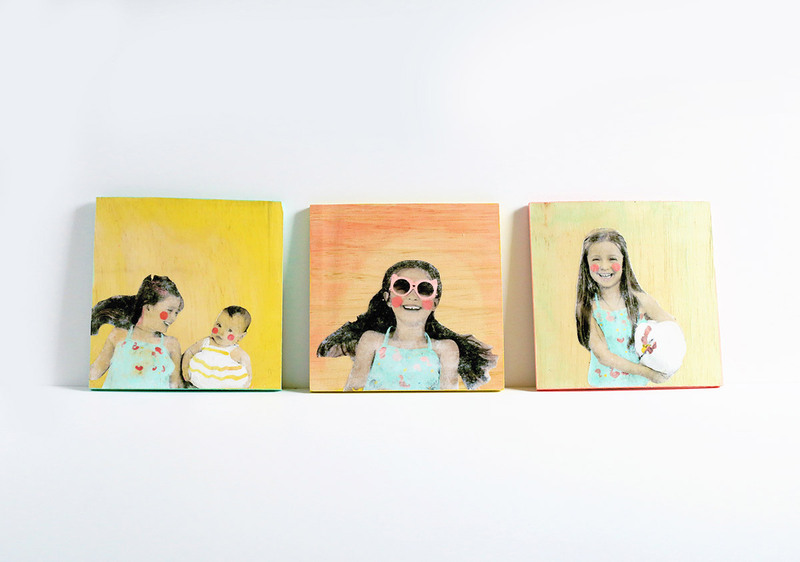 It’s my Colorfully Painted Wood Block Photo Transfer DIY. 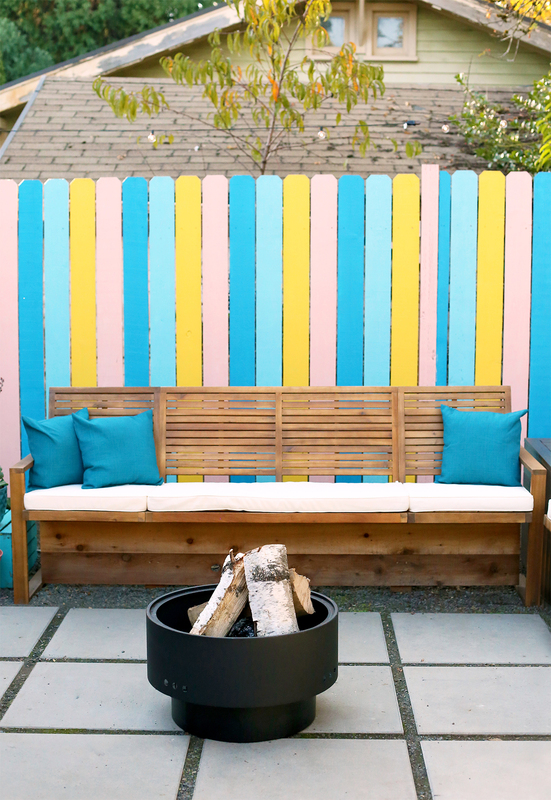 It’s a fun project that paints colorful details BEFORE the actual photo transfer. Follow my directions below to see how i made this. 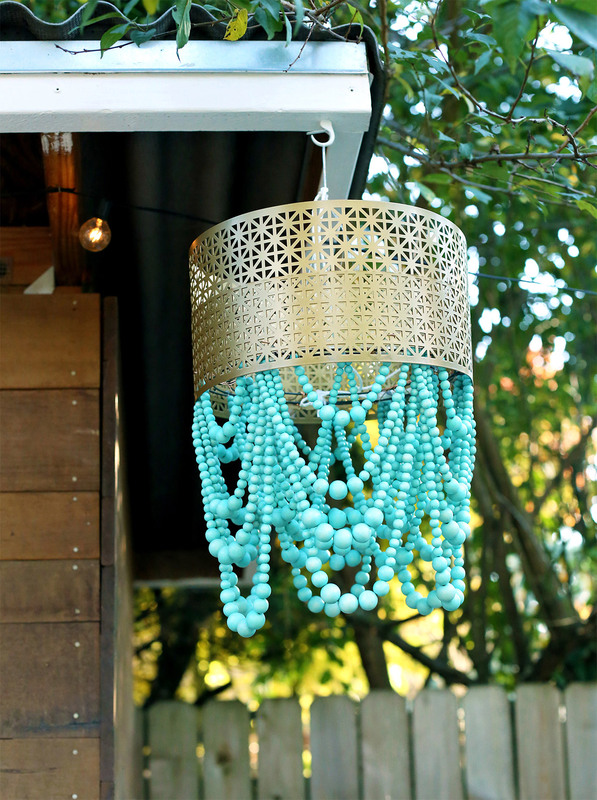 Disclosure: The Bead Chest provided product for me to create this sponsored Pretty Wood Bead Chandelier DIY. All opinions are my own. Thank you for supporting the sponsors that make The Paper Mama site possible. Making a beaded chandelier has been on my to-do list for a couple of years now and I’m happy to report: I’ve finally made one! 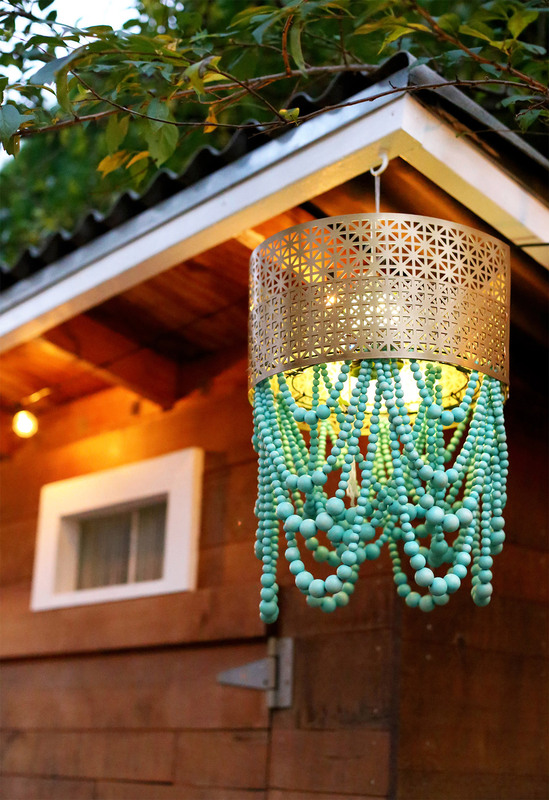 My original plan was to make a chandelier to hang in our dining room, but when we began planning our backyard makeover I knew I wanted to make this to hang outside. With the help of supplies, from The Bead Chest,I transformed over 1,200 beads into this pretty wood bead chandelier DIY! This project is VERY time consuming, but simple to make. I promise. Maybe sitting down to binge watch some shows while you string beads will make the time fly by? Please explore the directions below to see how I made my chandelier. Feel free to come up with your own bead pattern if you prefer. Cleaning mold and mildew may not seem like an exciting topic for most, but if you’ve spent way too much time cleaning mildew in your shower this post is for you. 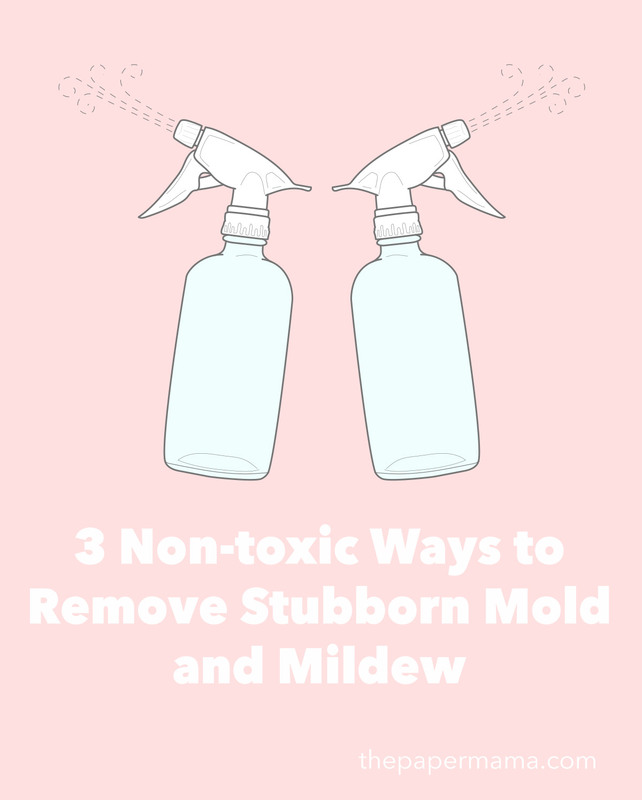 For the most part I prefer to use natural cleaners in my home so today I’m sharing 3 Non-toxic Ways to Remove Stubborn Mold and Mildew in your home. Disclosure: Lowe’s Home Improvement provided me with free products in exchange for this post. All opinions are my own. 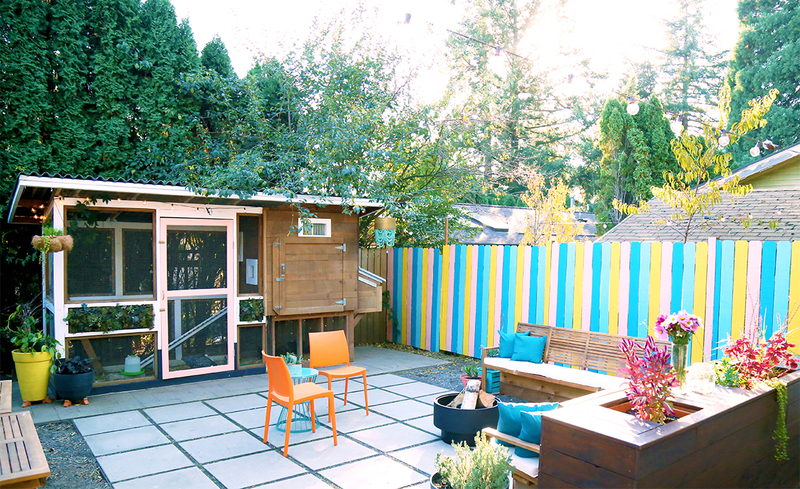 How to Incorporate Hidden Storage into the Backyard! We live in the Pacific Northwest and it rains A LOT. We live in this wet climate with very limited indoor or outdoor storage, so anytime my husband and I build something new around the home we always think about how to sneak storage into the project. 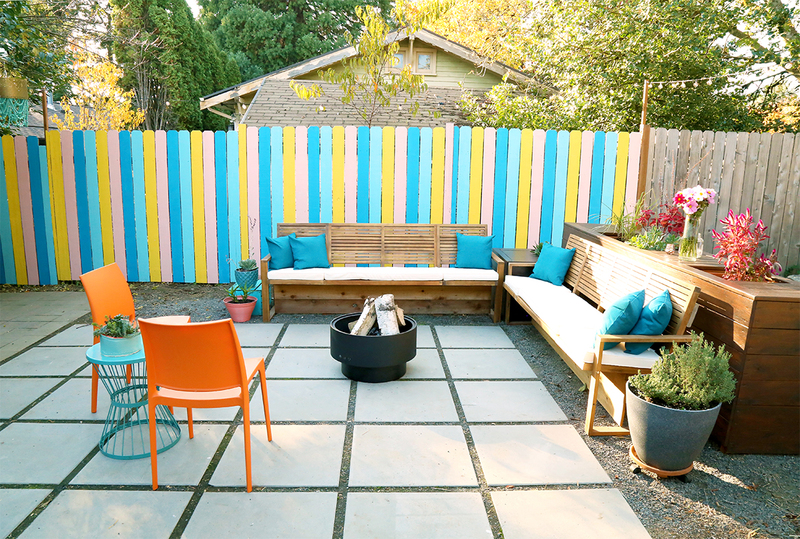 While planning our backyard makeover we made sure to plan for multiple spots that could hide everyday outdoor items from view. 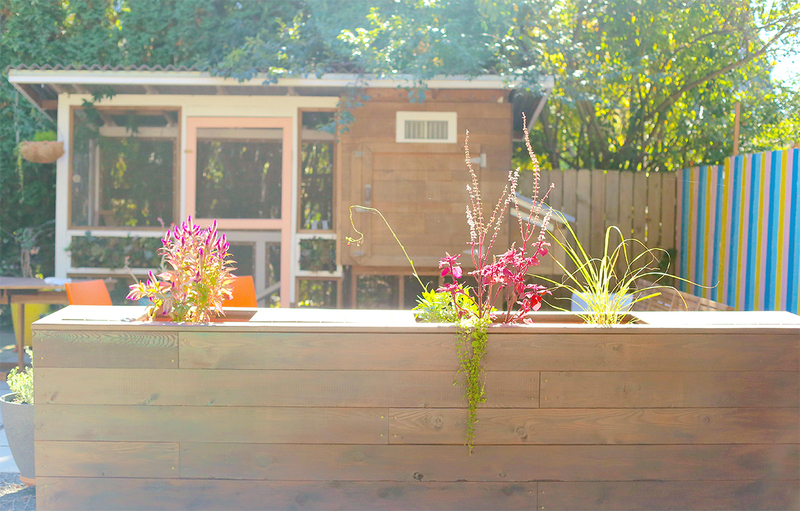 Our large wood planter does just that. 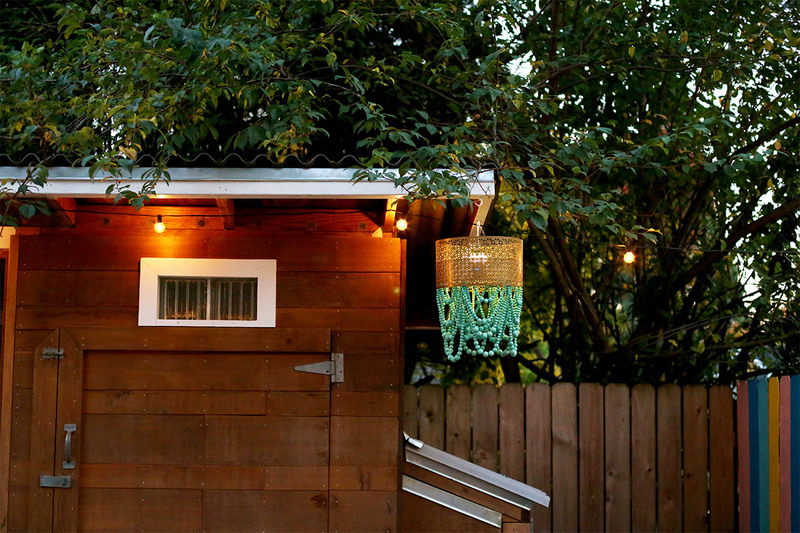 It’s tall and hollow and it’s the perfect spot to hide weatherproof containers. 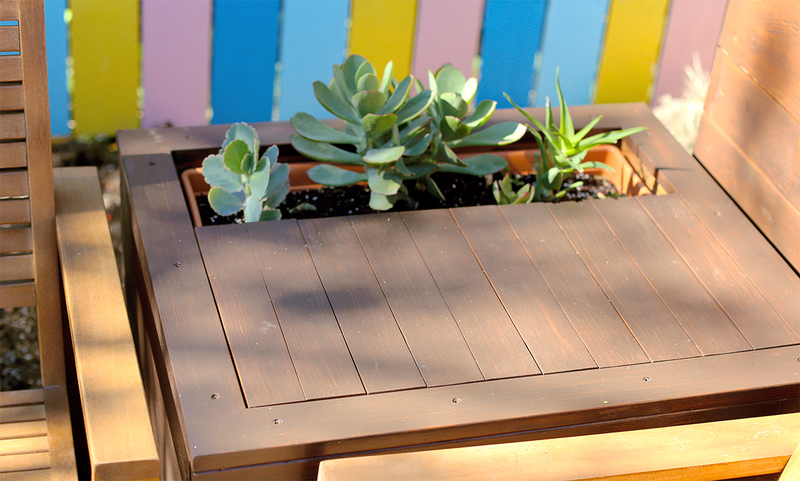 By adding a couple of tall resin deck boxes into our wood planter we have hidden a ton of kid’s outdoor toys and the outdoor pillows can now stay dry and clean for the winter. 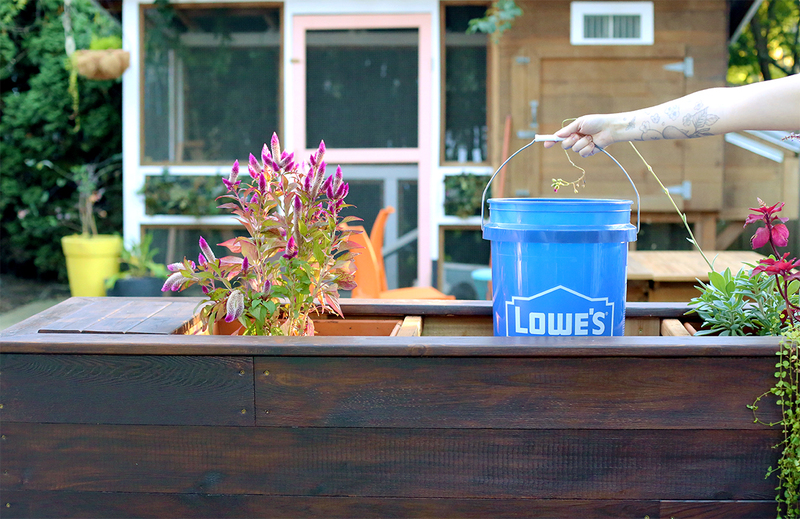 In addition to the deck boxes we decided to use 5 Lowe’s buckets (with lids) to store smaller items. We have BBQ tools in one bucket, small garden tools in another, spray paint (I surprisingly have a lot), storing hoses for the winter, and a sort of catchall bucket. By adding this bit of storage we have been able to clean up our small shed in the back and we can actually find things easier. It’s amazing. 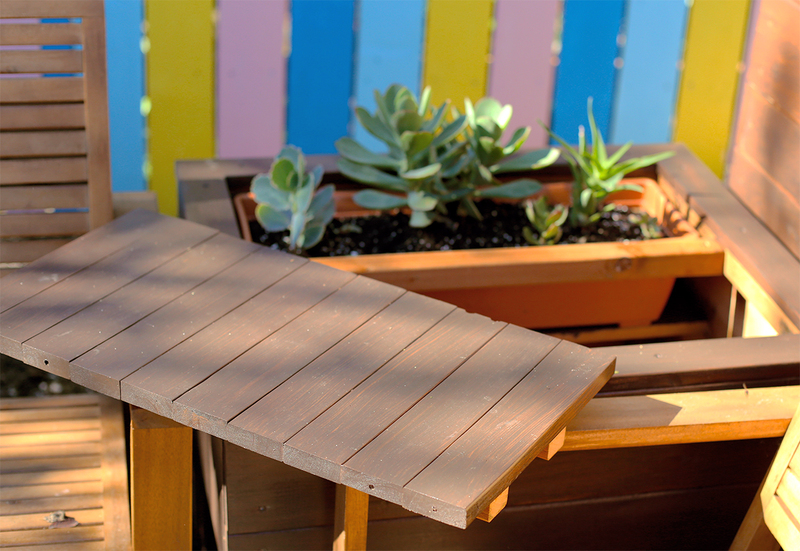 All of these items used to build this can easily be found at Lowe’s! Do you want to see how we built this piece? Follow the directions below. You can adjust them to fit the size of your yard.